Laughs. We share them, send them, feel them, and seek them. We sing about laughter, talk about it, write about it, dream of it, and even Tweet about it. Sadly, sometimes we can’t spare even one laugh. But the laughs are there, for the enjoying. Steve Martin said that a comedian’s job is simply “talking about what’s going on. And there will always be something going on.” This is good news, because, of all the gifts life gives us, humor is one of its sweetest. We laugh with our kids, laugh at our pets, and, sometimes, laugh right in the face of danger, fear, or grief. Most of all, we love to laugh with those special people God has placed in our lives. This book celebrates laughter, in all its glory, foibles, and mysteries. In the following pages, you’ll find a literary feast of things ridiculous, remarkable, and downright wonderful. 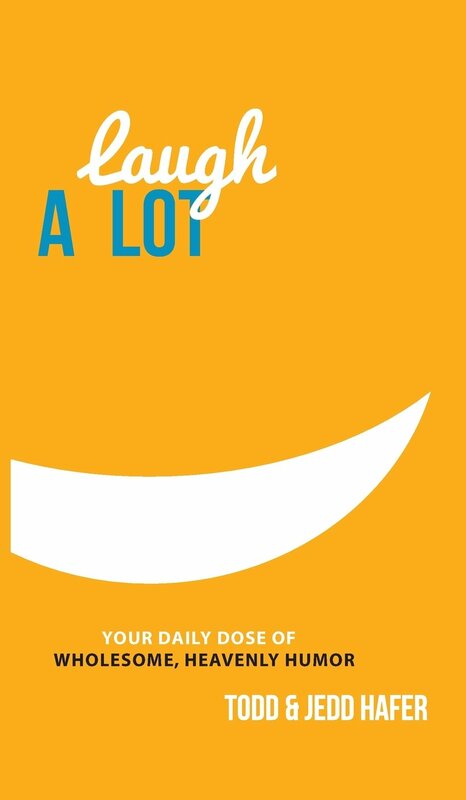 We hope this book will help you celebrate the many ways laughter can surprise, delight, amaze, comfort, and enrich life like nothing else on earth. We all need to laugh! We may not consider ourselves to be funny, but being able to let loose and relax is always good for the soul. This book is definitely funny and I found myself laughing outloud in numerous areas. There is a wide array of humor types in this and the author has even shared some great cartoons within the book too. This is not your typical humor book, but it is definitely one that you will love to read and will give you some great things to share with others as well!